The all-mechanical Longines Master Collection, the best-selling in the brand’s portfolio, expands to offer Longines’ first ever annual calendar. For those who are wondering, an annual calendar watch automatically manages the varying lengths of the months. This allows the timepieces to distinguish between a month with 30 days and a month with 31 days for example, with little intervention. 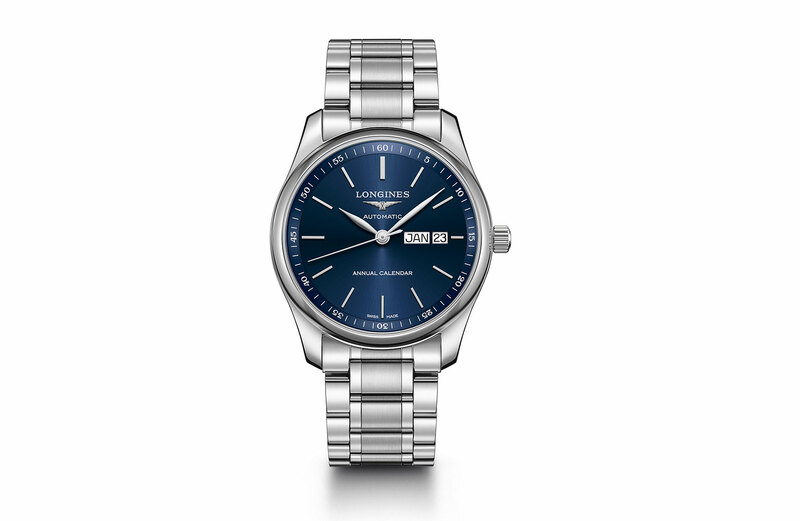 The Longines Master Collection is the first range from Longines to house this feature. As recently as 2005, Longines launched the Master Collection, and it proved to be a line that would pave the way forward while remaining faithful to Longines’ 185-year history. It is traditional without bordering on twee, classic with enough nuance to avoid being boring, and it moves just enough with the times to play to modern tastes. Best of all, it does all this while including those on modest budgets. Now with an annual calendar to play alongside highly complicated models, it will also strongly appeal to those who actually use their watch to remind themselves of the day and date as well. The Master Collection Annual Calendar houses the new automatic L897 caliber in a 40mm stainless-steel case. It has 64 hours of power reserve and a transparent case back. The rhodium-plated or blued steel hands work in sharp relief with the black, silver barleycorn or sunray blue dial. Strap options include a steel bracelet or black, brown or blue alligator watch strap, all fitted with a folding safety clasp. Few would contest that Longines are downright masters of the quality-price ratio, and this once again embeds that reputation. An annual calendar for a price that will no doubt be reasonable, probably beyond big-box brand equal, is now not a surprise. In fact, it’s a reassuring sure thing. Death, taxes and well-priced Longines models — with classic looks, complications and wallet-friendly pricing — seem to be a certainty. The practically minded (among which, by the way, I cannot be counted — the dates on all my watches are all different!) are going to really celebrate an Annual Calendar; it’s extremely useful for those who need to know day and date on a daily basis at a glance, and resent having to twiddle the crown every month up to 31, back to 30, or 28 or 29 for February. 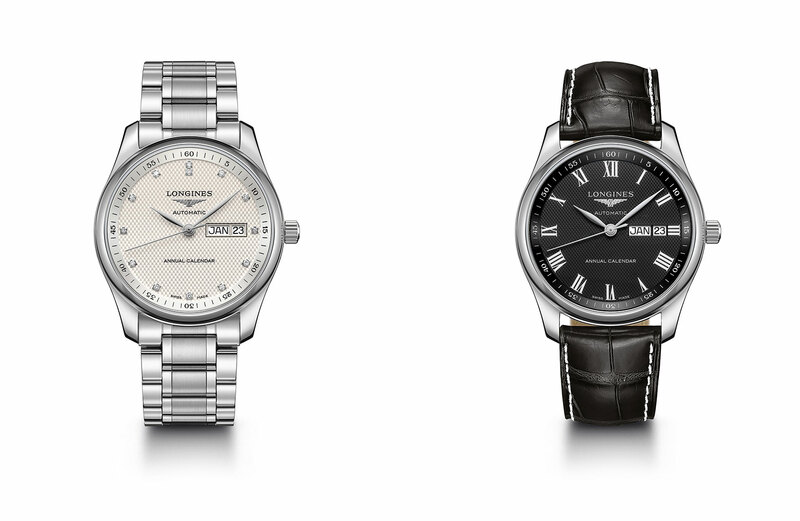 The options here, in terms of the variations, run the gamut of all the Longines classic touches, such as the silver barleycorn dial, extending to some modern home runs like the blue sunray dial. It’s not quite a one-watch contender, thanks to its dressy, classic roots, but as an everyday work watch, or a pinch-hitter for suit duty, you are going to kill it with this one.